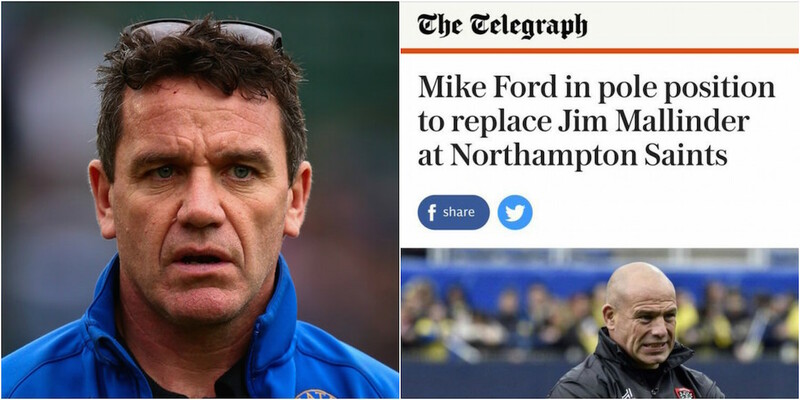 The Telegraph published a photo of the wrong coach alongside an article linking Mike Ford with the Northampton Saints post yesterday. The newspaper was linking the former England coach with the post, after Jim Mallinder was sacked yesterday, in an article on the sports section of their website. But alongside the article was an image of Edinburgh boss Richard Cockerill, who worked with Ford at Toulon earlier this year. The issue was spotted by former Scotland international and host of The Rugby Pod, Jim Hamilton.